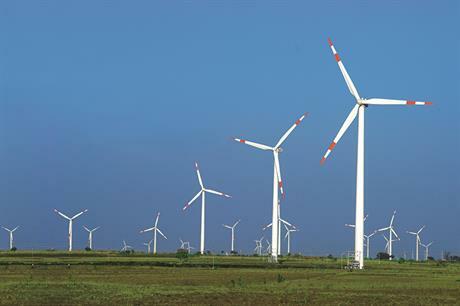 INDIA: In the face of recent downscaling and delay of tenders, the Indian Wind Turbine Manufacturers Association (IWTMA) has called on a change to bid mechanisms and procurement policy. In August, a 2GW federal auction was cut to 1.2GW, which was followed by a delay to the next round of bids for wind power on account of constrained grid capacity in Gujarat and Tamil Nadu. These moves have affected confidence in the nation’s wind sector. Now, the IWTMA has called on the Ministry of New and Renewable Energy (MNRE) to bring about key changes in the bid mechanisms and procurement policy. IWTMA noted that nearly all of the 10GW capacity tendered since early 2017 is going to be set up in the states of Gujarat and Tamil Nadu resulting in large-scale grid congestion at the inter-state substations in these two states. The association is proposing to call for a location-specific auction for other states such as Karnataka, Madhya Pradesh, Maharashtra, Rajasthan and Andhra Pradesh that have nearly 25GW of available substation capacity for connection. A location-based call for bids would give developers assurance about the grid point availability and would also allow them to calculate the bid on the wind regime of the region. A second suggestion from IWTMA is to ban states with good wind resources to buy wind power from out-of-state projects. Currently, this allows the local governments to meet renewable purchase obligations (RPOs) without actually utilising the available wind resource from within the state. Thirdly, IWTMA suggested the government commits to a minimum of 2.5GW of auctions every quarter to revive the industry and keep the momentum going.